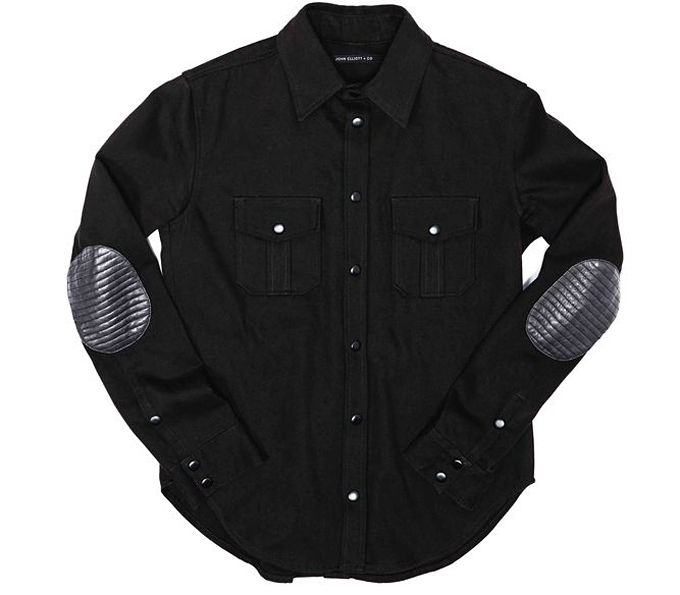 A beautiful slim fit work shirt handmade in Los Angeles. 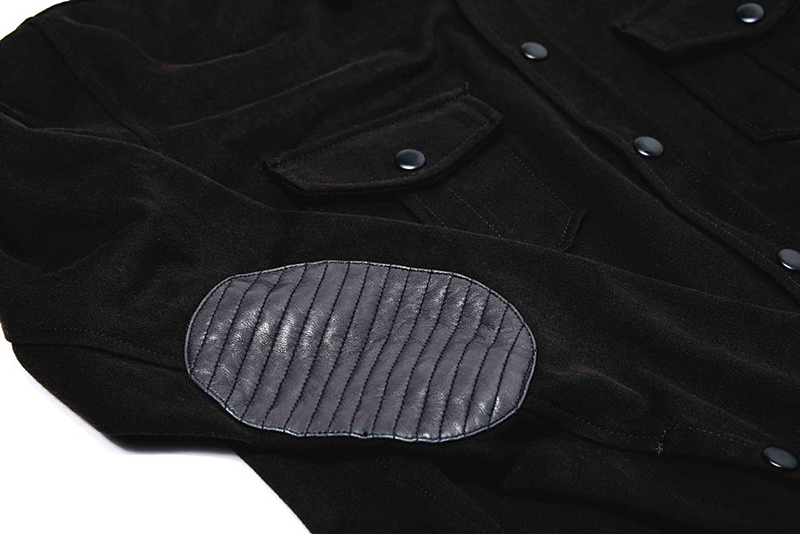 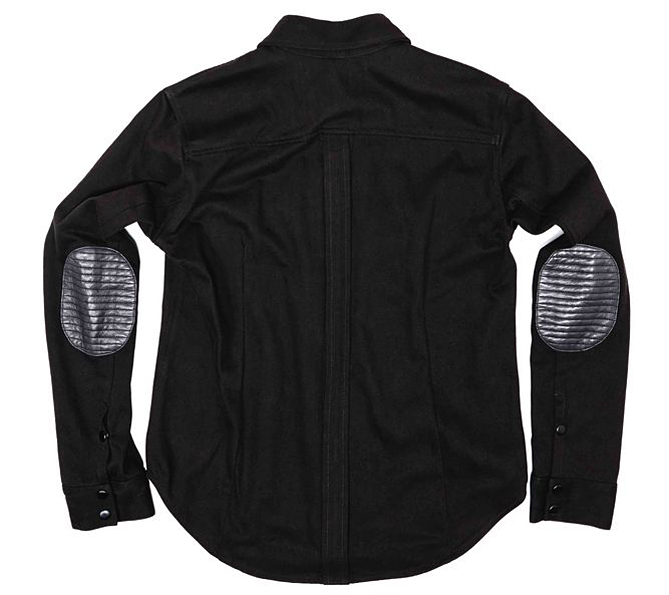 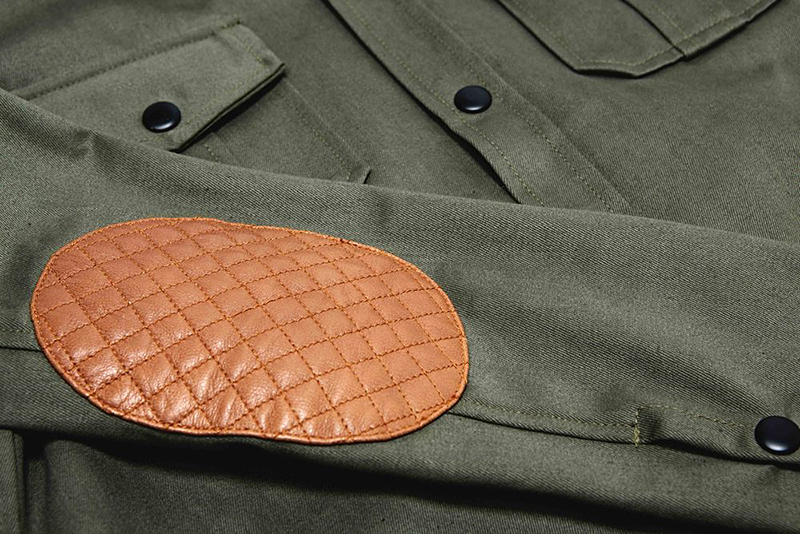 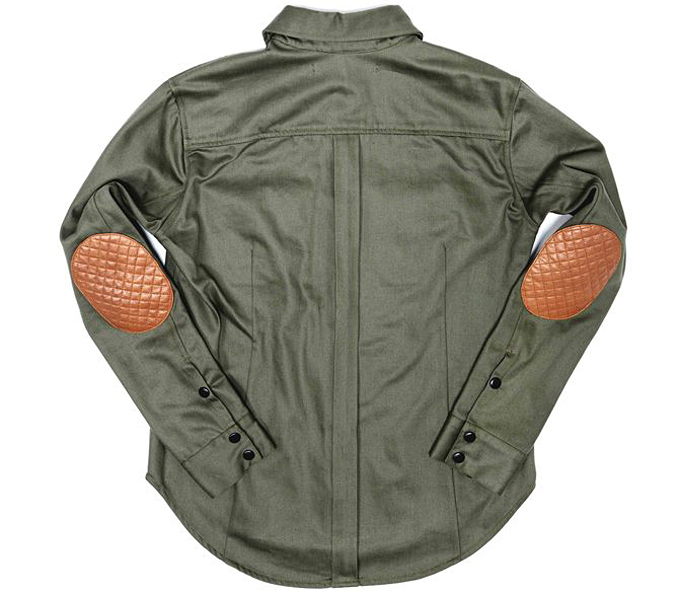 The Snap Overshirt is made from cotton twill with lamb skin quilted leather elbow pads and snap buttons. 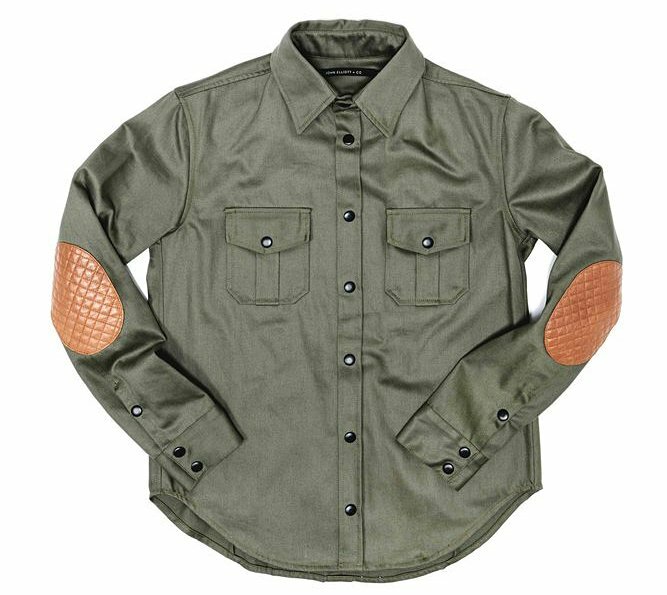 Available in black with gray pads or olive with brown pads.